Bhubaneswar: Odisha IAS association accuses Union Minister Dharmendra Pradhan of ‘personally targeting’ senior officer . Administrative officers belonging to IAS, OAS and OFS service associations took serious note of Union Petroleum Minister Dharmendra Pradhan’s remarks against a senior IAS officer at a function. 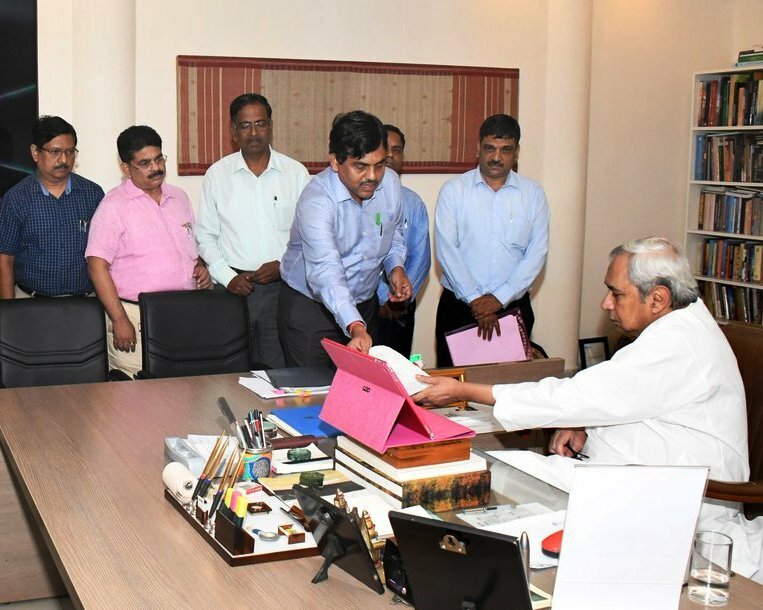 Odisha IAS Officers Association on Tuesday submitted a memorandum to Chief Minister Naveen Patnaik accusing Union Petroleum & Natural Gas Minister Dharmendra Pradhan of personally targeting a senior IAS officer of the state government at a function recently. “The incident took place on Monday at the inauguration of the National Data Centre of SIC, Bhubaneswar, wherein the Union Petroleum Minister personally targeted a senior IAS officer of the State Government, who was attending the function on an invitation,” the association stated in the memorandum. In a democratic polity, the division of powers between the political executive and the permanent executive is the bedrock of the administrative framework. Both the organs have to work in tandem to achieve the objective of creating maximum good for the maximum people and in doing so should be guided only by the ideals enshrined in the Constitution. However, recent episodes in Odisha and other parts of the country wherein officers, while discharging their professional duties, have been personally attacked by senior members of the political executive which is a direct attempt to defy the constitutional values, the association said. The association further said that several such incidents have also been reported by the field functionaries. This has vitiated the working atmosphere and has a demoralising effect on the officers and employees of the State Government. The association strongly condemned such incidents and appealed to the Chief Minister to take up the matter at the appropriate level so that such incidents are not repeated in future. Meanwhile, Odisha Police Association issued a joint statement on the alleged unbecoming remarks of the Union Minister. “We intended to bring to your notice that yesterday on May 28 the Union Minister had made some sarcastic remarks on the Odisha government officials in an open meeting. Such derogatory remarks are hard to digest and deranged the morale of state government officials,” the statement said. The Odisha Administrative Service Association convened an emergency meeting on Tuesday and expressed concern about the proceeding of the meeting during the inauguration of National Data Centre in which the Principal Secretary to Govt. in IT Department was named in an undesirable manner. “The association stood in unison with the lAS association of the state in condemning the matter. Further, the association strongly denounced the past instances of government officers in the state being scared by intimidating words of the Union Petroleum Minister,” the association said. The OAS association also submitted an extract to the Chief Minister about the resolution passed in an emergency meeting supporting the stand of IAS Association on the issue of the Principal Secretary to Govt. in IT Department being named undesirably in the proceeding of the meeting on 28.05.2018 held for the inauguration for Nation Data Centre. Moreover, members of the Odisha Finance Service Association (OFSA) also strong protested the unpleasant behavior displayed to the Senior Officer of the State Government by the Union Minister.